Vermont is a state full of scenic byways, beautiful landscapes, and quaint villages. This northern state boasts some of the region’s highest mountain peaks, which feature an array of colorful trees. Enjoy some of the most breathtaking views as these mountain peaks light up in a blaze of fiery red, glistening gold, and sunset orange. Vermont is home to a range of landscapes which provides for one of the longest foliage seasons. The Vermont foliage season typically begins during early September and extends into late October. However, many horticulturists believe the autumn foliage is best displayed in late October when the trees are painted an array of colors. Start your foliage tour in the higher elevations of Northern Vermont where the maple leaves are the first to change. By mid-September you will experience a range of colors displayed across the northern skyline as the colors continue to transition, moving progressively south during October. The Connecticut River Valley is New England’s largest river, stretching 300 miles through some of the most beautiful forests and countrysides. Watch the autumn leaves change as you drive parallel to the river enjoying the sparkling waters light up with an array of colors from the changing seasons. The Connecticut River Valley follows along the eastern border of Vermont, displaying some of the areas most picturesque landscapes. Suggested routes include I-91 and Routes 5, 103, 30, and 11 along the tributary river valleys. Grand Isle County is made up of a group of islands in Lake Champlain that stretch approximately 80 square miles. This beautiful area provides a scenic drive through the sparkling waters that nurture the trees and provide a stunning display of autumn leaves. Follow Route 2 and shoreline roads to see the beautiful fall colors that line the coast of the Champlain Islands. Lake Dunmore provides a countryside experience as you travel through wooded areas and small towns on this foliage adventure tour. Get off the beaten track by using Route 73 from Sudbury west to Mt. Independence; Route 53 around Lake Dunmore (near Salisbury); the Richville Dam Road from Whiting west to Route 22A; and Route 30 between Whiting and Poultney. All of these routes allow you to sit back and travel the country roads as you take in the landscape and natural beauty of Vermont in the autumn season. Continue to follow to change of colors while you travel south on your foliage tour. Traverse the southern towns of Dorset to the Poultney and Middletown Springs as you watch the seasons change. Use the travel routes 7A, 30, 31 and 133 to see these quaint towns and view their picturesque autumn trees. 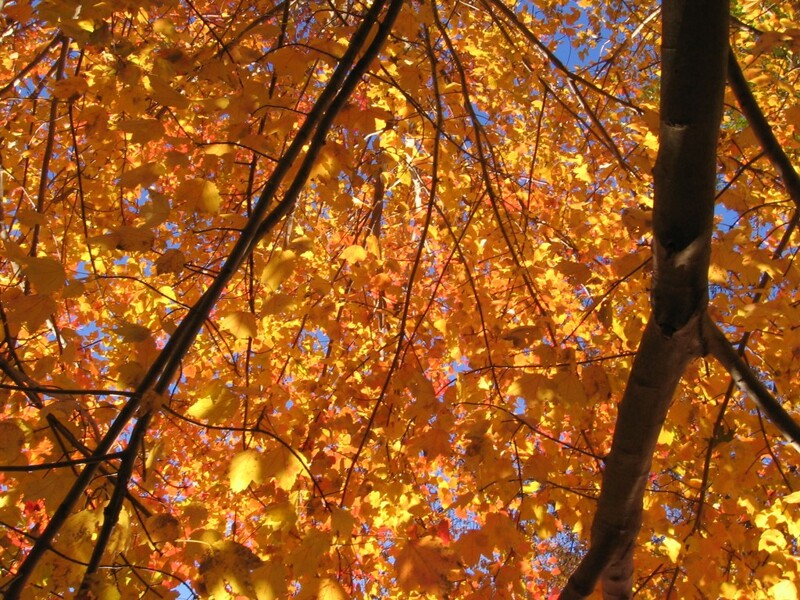 Find more Fall Foliage Scenic Driving Tours here.